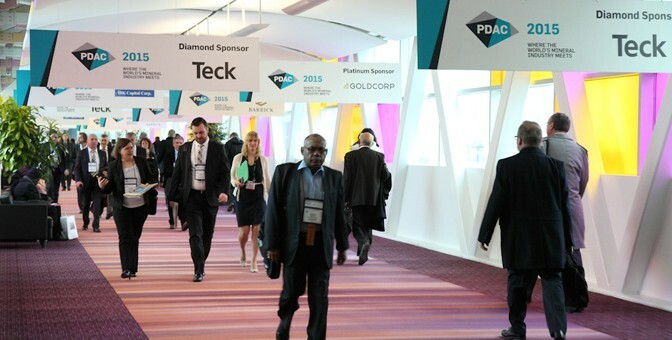 As with years past, there was a lot to see and do at the 2015 edition of the PDAC. Over 23,000 individuals including mining executives, resource & exploration professionals and enthusiasts from 116 different nations braved the March weather to attend this year’s conference and get a flavour for the current state of the mining industry around the world. The team from the Canadian Securities Exchange was on hand at the CSE booth and to co-host a networking luncheon alongside MNP LLP, Newsfile and Peterson & Company LLP. In addition, the CSE initiated a sponsorship this year for Mining Matters, a youth program aimed at inspiring the next generation of mining and resource enthusiasts. For the CSE, it was another great conference with steady traffic to the exhibition booth as well as a strong turnout to the networking luncheon, great speakers, great food and of course great company. Click through the slideshow below to see pictures from the exhibition floor and the networking luncheon.